SAN FRANCISCO—June 15, 2017—Salesforce [NYSE: CRM], the global leader in CRM, today launched Salesforce Einstein Analytics, delivering advanced analytics for millions of CRM users. 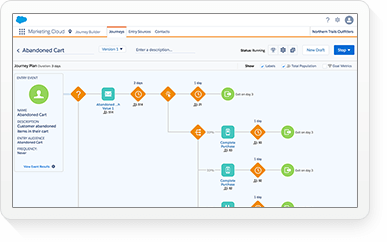 Einstein Analytics adds a layer of artificial intelligence to the entire analytics workflow, automatically surfacing CRM insights and recommending actions to accelerate sales, improve customer service and optimize marketing campaigns. 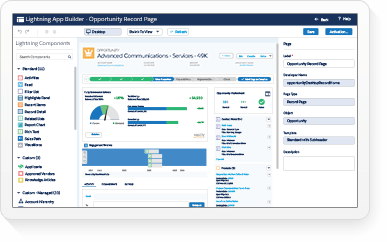 Millions of Salesforce users have leveraged out of the box operational reports and dashboards to quickly look up their data, understand performance and communicate results. And now they can continue their analytics journey with advanced analytics apps built into Salesforce. With the amount of customer data volumes growing exponentially every day, analytics has become more important than ever before. It is impossible for anyone to spot every trend, understand every correlation or test every hypothesis. 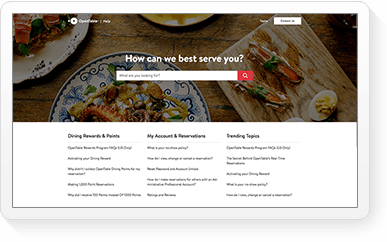 Now companies have a way to empower their sales reps, service agents, marketers and analysts with the insights they need to make every customer interaction smarter, without having to build mathematical models, write algorithms or ask an expert for help. 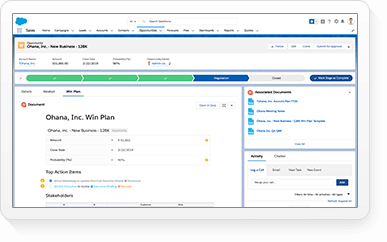 Einstein Analytics delivers a portfolio of contextually relevant, self-service analytics apps that empower every CRM user to explore data and uncover insights—from a simple sales pipeline dashboard to the most advanced complex forecasting decision. 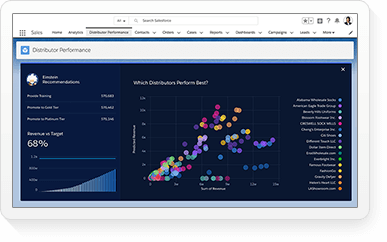 With the new AI-powered Einstein Discovery, Einstein Analytics apps can automatically analyze billions of data combinations to surface predictive insights and prescriptive recommendations. 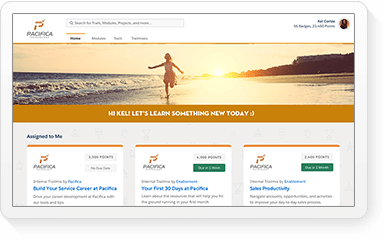 Built on the world’s #1 CRM platform, now every sales rep, service agent, marketer and analyst can unlock new opportunities from within their data to make every customer interaction smarter. “Gartner predicts that, through 2017, the number of citizen data scientists will grow five times faster than the number of highly skilled data scientists. This growth will be enabled by smart data discovery, which has the potential to complement and extend existing modern BI platforms by putting insights from advanced analytics into the hands of business analysts, in order to drive new sources of business value,” said Rita Sallam and Cindi Howson, Research Vice Presidents at Gartner in the July 2016 Hype Cycle for Business Intelligence and Analytics, 2016. “Companies need to align with the next phase of computing to better connect customer experience to value. 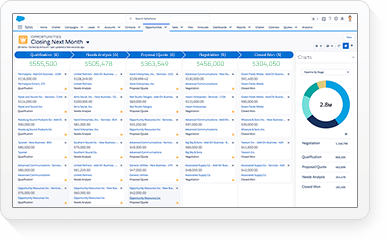 As a long-standing Salesforce Global Strategic Consulting Partner, our practice helps clients uniquely deploy Einstein and cognitive capabilities. 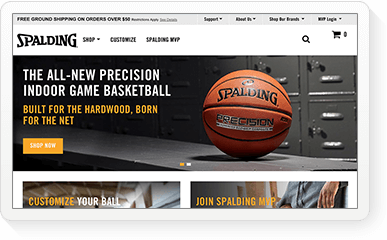 Combined with the power of Einstein Analytics, we can rapidly change how businesses make everyday decisions today,” said Adam Bataran, Managing Director, GTM Global Salesforce Platforms, Bluewolf, an IBM Company. With the convergence of computing power, big data and new breakthroughs in machine learning, AI is poised to transform how people work. According to a new report from IDC, the efficiencies driven by AI in the way companies sell, service and market to their customers will augment human ability and create more than 800,000 net-new jobs as well as more than $1.1 trillion in new GDP impact worldwide by 2021. As the global leader in CRM, Salesforce customers will account for $293 billion of this revenue and more than 155,000 of the net-new jobs. 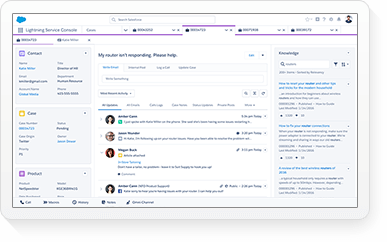 From predictive lead scoring in sales to marketing campaigns based on data-driven audience segmentation, Salesforce is democratizing AI for CRM with Einstein, allowing every employee to be more productive and deliver smarter, more personalized customer experiences. Sales Analytics and Service Analytics are generally available starting at $75 per user, per month. B2B Marketing Analytics is generally available today for $300 per month, for up to five users. 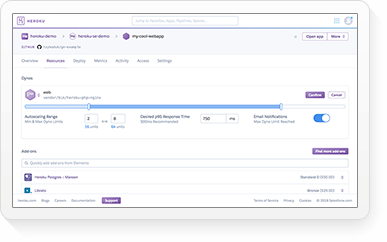 Einstein Discovery is generally available starting at $75 per user, per month. 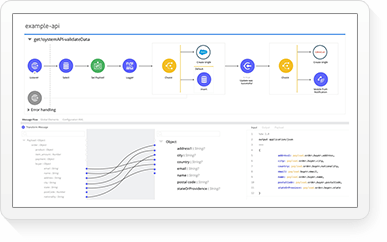 Custom Einstein Analytics Apps are generally available starting at $150 per user, per month. Follow @salesforce and @sforceanalytics on Twitter.